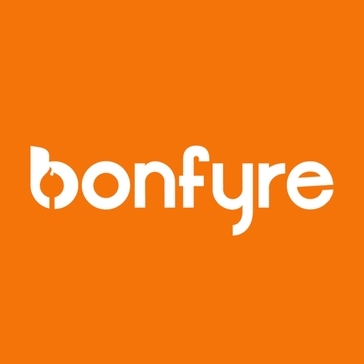 Bonfyre is an employee experience platform built to help place company culture in the hands of those most capable of shaping it. Employee-driven digital communities foster vertical and horizontal conversation throughout the organization, promoting higher engagement and more connected teams. 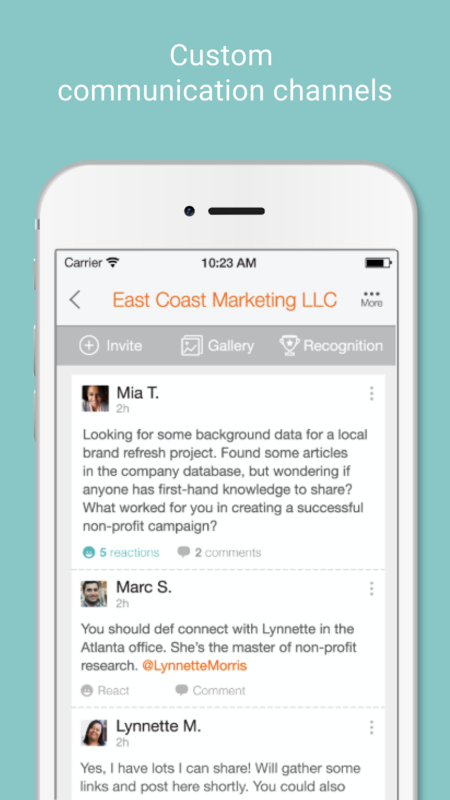 As a mobile-first tool, Bonfyre supports internal communications, employee feedback through surveys, and peer-to-peer recognition. By leveraging Bonfyre’s data and analytics dashboard, leaders gain actionable insights to transform the way they are measuring and optimizing investments in their employees. 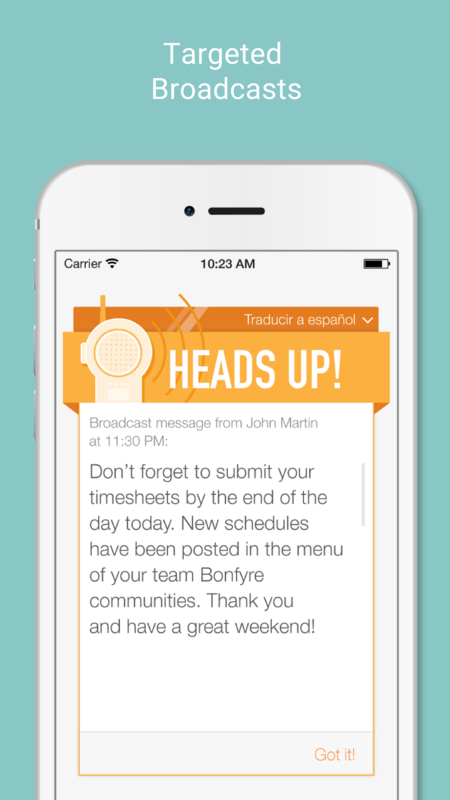 Communications: Bonfyre’s suite of tools support internal communications strategies by ensuring each employee group gets the messages most important to them, regardless of role or location. Feedback: Two-way communication and employee feedback are foundations of a positive employee experience. 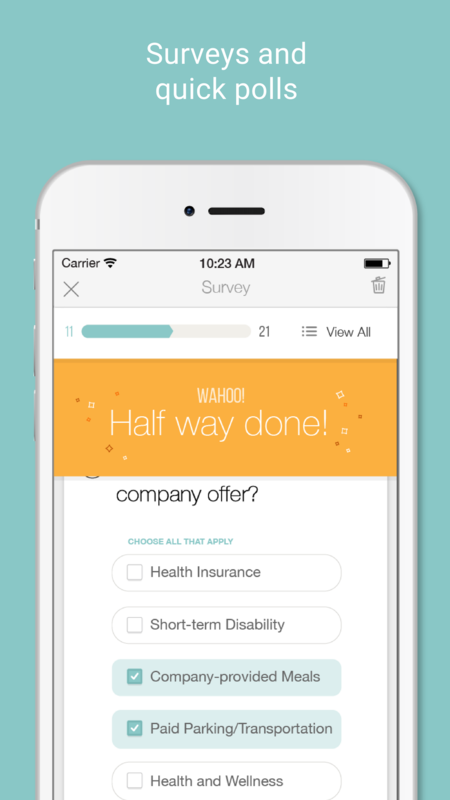 Bonfyre’s suite of survey and feedback tools allow you to get the answers you need from employees quickly. 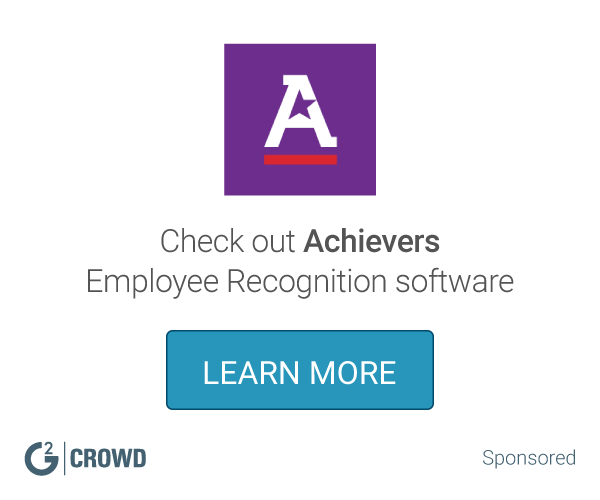 Recognition: Bonfyre’s recognition tool makes sending both a peer-to-peer or top-down digital high-five for a job well done easy. Internal Events: Whether it’s a town hall, employee training, or other in-person meeting, our event tools can help keep attendees engaged and maximize the impact of your live events. 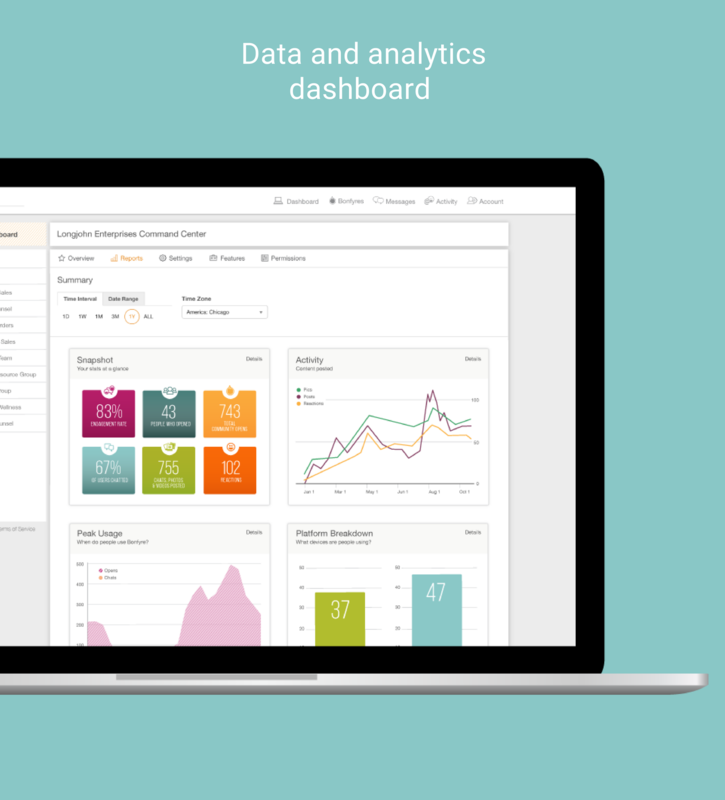 Dashboard: Data. It’s the difference between having a hunch your internal initiatives are working and having proof of results. Bonfyre’s robust reporting and intelligence capabilities interpret platform usage data to help inform strategic decisions.